Rodgers and Hart's BABES IN ARMS has never been quite what everyone thinks it is. It was the hit of the season when it opened in 1937, running nearly 300 performances, but essentially vanished thereafter. 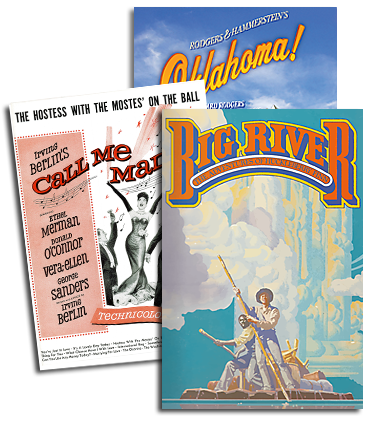 Little thought was given to the preservation of musicals in the 30's; a show either hit or missed and it was on to the next one. 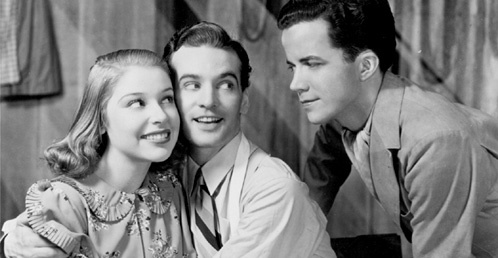 Between 1934 and 1940, three years to either side of BABES IN ARMS, Rodgers and Hart wrote nine Broadway musicals and four film scores, so there wasn't much time for looking back. Most of us were introduced to BABES IN ARMS by the 1939 Mickey & Judy movie, which retained only the title and two songs from the Broadway original (and one of them merely as underscoring). In the late 50's an entirely new book was written with the songs reordered, and that version has been performed ever since. Several attempts have been made to rework the original book into a more contemporary view of the 30's, but have either failed or never seen the light of day. Last year we were approached by Aubrey Berg, Chair of the Musical Theatre Department at the esteemed University of Cincinnati College-Conservatory of Music. He wanted to present the original 1937 version of BABES IN ARMS, as he so succinctly put it, ""in all its unwieldy splendor."" Berg hadn't determined what the musical should be but wanted to rediscover what it really was. That notion appealed to us immediately. CCM musical director Roger Grodsky, with restoration expert Larry Moore and R&H Director of Music Bruce Pomahac, began coordinating and assembling Hans Spialek's original 25 piece orchestration, a meticulous process that took the better part of a year. When a few of us trouped out to see the show in January of 98, it proved to be quite a revelation. We knew that this quintessential ""Hey, kids, let's put on a show!"" musical boasts one of the greatest scores ever written, including such standards as ""My Funny Valentine,"" ""Where Or When,"" ""The Lady Is A Tramp,"" ""Johnny One Note"" and ""I Wish I Were In Love Again."" What we didn't know was that the book, which is wildly satirical, surprisingly topical and a bit peculiar, still works like gangbusters. BABES IN ARMS is about a group of youngsters who ply their showbiz aspirations in an attempt to avoid being sent to a work farm for the summer. One of its many fascinations is the way in which the more raucous virtues that typify musical comedies of the 30's are peppered with socio-political satire that has continued to resonate for six decades. For instance, the son of a wealthy Southerner agrees to bankroll the kids' production on the condition that the two black kids (roles created by the legendary Nicholas Brothers) not appear in the show. Of course the rich kid gets his comeuppance. And in an ongoing and hilarious riff on socialism, one of the boys is all for ""sharing the wealth"" when he's broke, denounces the notion as soon as he has a couple bucks, and ultimately returns to his Bolshevik convictions when his fortunes fade once more. The Cincinnati premiere of the new/old BABES IN ARMS was greeted with cheers by critics and audiences alike. The Cincinnati Enquirer enthused, ""The show is charming, the numbers sizzle, what more can you ask?"" while Playbill-On-Line opined, ""We're lucky to have a new' version of BABES IN ARMS."" We thought everyone should be so lucky, and are therefore making the original version of BABES IN ARMS available for production for the first time. It's possible that another show this fresh and youthful may come along some day, but who knows where or when? For the most authentic recording of the original 37 babes in arms, we recommend the 1990 concert version, conducted by Evans Haile for New World Records... BABES IN ARMS and other musicals by Rodgers & Hart are available exclusively through The R&H Theatre Library and we are always happy to provide perusal materials upon request.